Have you (or someone you love) been injured in an auto accident while walking or jogging? If so, you have just been involved in what is referred to as “pedestrian accident” in legalese. Today’s drivers face more distractions than ever before. Too often, these distractions create the perfect recipe for pedestrian accidents. Even if you’re obeying the laws and crossing streets when and where permitted, you can easily become the victim of a pedestrian accident due to the negligence of a distracted or careless driver. Pedestrian accidents often lead to more serious injuries than any other type of personal injury accident. A collision with a 3,000+ pound vehicle can leave you dealing with nerve damage, torn ligaments, broken bones, or worse, battling for your life. Hiring the right pedestrian accident attorney is critical to ensure you earn the justice you deserve. 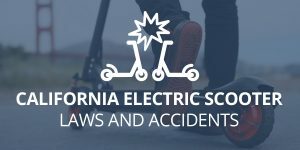 However, the first step in taking action is understanding the basic overview of a pedestrian accident in California – and how an experienced attorney can help. What are the most common causes of pedestrian accidents in California? Sadly, thousands of innocent pedestrians are injured (and sometimes killed) every year because of careless and negligent drivers. Even more unfortunate is the fact that children and senior citizens are often common victims of pedestrian accidents resulting from car crashes. These accidents often leave family and friends of the victim traumatized and emotionally distressed. Those dependent on you financially will also feel the brunt of the whole situation due to lost wages and medical bills – that may have to come out of your savings. Lack of Visibility: Fog, smog or rain have been the cause of a significant amount of road accidents in general. This is because many accidents occur between dusk and dawn, which, when coupled with the factors initially listed, will make visibility very difficult. Pedestrians taking a walk or a jog without reflective equipment under these circumstances are at a very high risk of being involved in an accident. Driving under the Influence of Alcohol or Drugs: Another common cause of pedestrian accidents across the United States are reckless drivers driving under the influence of drugs and alcohol. People driving under the influence are unable to judge speed, depth, and distance – all of which increases the chances of an accident. Distractions: Finally, distractions also make it into this list as one of the most common causes of pedestrian accidents in California. A number of things distract drivers. These include making calls, sending text messages and changing the car’s radio station. Although there are other causes of pedestrian accidents such as bad roads and quiet cars, we believe the above list encompasses the majority. Pedestrian accidents often leave victims severely injured even when the accident occurred at a low speed. Vehicles have been fitted with several safety measures such as seat belts, airbags and crash avoidance systems. All these work together to keep the driver safe. Any of these injuries could be fatal. The severity of these injuries depends on many factors such as the vehicle’s speed, the angle of impact, and the part of the body that was hit in the collision. There are several reasons why you need a lawyer to represent you when you have been involved in an accident. In this section, we are going to cover four of the most important reasons. An experienced pedestrian accident lawyer will help determine who is at fault in your accident case. 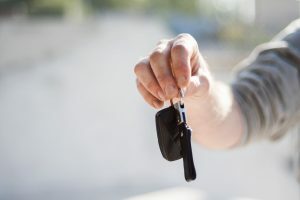 This might come as a shock to you, but insurance adjusters will usually deny the driver was responsible for the accident to avoid having to pay any money out in the settlement. A lawyer will help carry out an investigation, talk to witnesses, and obtain police records. You can trust a pedestrian accident attorney to handle your case even if you are too injured to do anything. And as we explained earlier, pedestrian accidents are often very serious and could sometimes even be fatal. Therefore, having a lawyer you can trust on your side could either make or break your case. Your lawyer will be able to focus on earning you just compensation while you focus on healing. Another reason to get a lawyer as soon as possible is to help you negotiate. Insurance company adjusters are looking for ways to either not pay a dime or pay as little as possible in the settlement. An experienced pedestrian attorney can help you negotiate the best settlement possible. Finally, a pedestrian attorney can represent you in court. When negotiations are not forthcoming or the insurance company is denying liability for the accident, the case will likely be taken to court. When that happens, you will need a lawyer to represent you. Having a lawyer on your side can be crucial for your case. However, you must be careful when choosing one. You need an attorney with experience and a record of accomplishment winning cases and obtaining good settlements. Speaking of settlements, allow us walk you through the compensation available for pedestrian accident victims. While it can be quite difficult to place a value and worth on a pedestrian accident case, there are certain things that will be taken into consideration when preparing a demand package (a document we send to the insurance company detailing how much we want in settlement and why) to be used in your case. This list encompasses everything a good lawyer needs to use to determine the value of your case. The most important thing, however, is to help you determine liability. Once liability cannot be denied, we can pretty much earn a settlement for any (or all) of the factors listed above. Can I Still Earn Compensation If The Accident Was A Hit and Run? The short answer is yes, you can. Hit and run accidents are unfortunate, but quite frequent across the United States. Getting a lawyer to walk you through the steps to recover compensation is essential. In a hit and run case, you need to understand that your insurance company would be the one to compensate you for your injuries, pain and suffering, and medical expenses. Like every other insurance company, they will fight not to pay anything substantial. As a result, getting a lawyer who is familiar with California’s hit and run laws, California’s Uninsured Motorist Insurance law, and who is also a good negotiator is paramount. When you’ve been injured in a pedestrian accident, Megeredchian Law is here to help. Our attorneys bring an unparalleled level of experience and service to the table. Losing is not an option at Megeredchian Law. Results matter and we aggressively pursue just compensation for our clients. We offer a no-strings-attached free consultation that will get you up to speed with everything you need to know about your current situation and how we can help you. Contact us today to get started. Is a driver always at fault for a pedestrian accident? While pedestrians are considered to have the right of way, pedestrians still have duties to fulfill like other road users. A driver is not required to anticipate that a pedestrian may suddenly run directly into the path of a car. There are certain actions which can render a pedestrian at fault. Can I still receive compensation if I was partially at fault? Yes, you can still receive compensation if you were partially at fault for the accident. Actions like crossing against the traffic signal or walking along highways and bridges can render you partially responsible for an accident. Fortunately, California operates under a pure comparative negligence standard. Your award will simply be reduced by your percentage of fault as determined by the court. What duty is placed upon pedestrians to avoid an accident? Like drivers, pedestrians have a responsibility to act with reasonable care while traveling. Pedestrians must obey all traffic signs and signals. Similarly, they should carefully observe traffic conditions before attempting to cross a street. A pedestrian should not begin or continue to walk forward if an oncoming vehicle is approaching. Is a pedestrian accident handled like a normal auto collision? Pedestrian accidents should not be treated like normal auto collisions. Unlike drivers, pedestrians are not protected from impact by a metal cage. Pedestrians are 10 times more likely to die in a collision than a passenger in a motor vehicle. The injuries are typically far more severe as well. 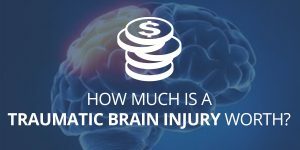 Catastrophic injuries require more financial resources for recovery. Your personal injury attorney should understand this and should fight tooth and nail to place the financial burden on the shoulders of the at-fault party. Should I still contact a lawyer if I don’t feel like I’ve suffered any major injuries after my accident? Even if you don’t feel like you’ve suffered any major injuries, you should still contact a lawyer to understand your legal options. It’s not uncommon for severe injuries to manifest hours or days after an accident and studies have shown that those who retain legal counsel recover up to 40% more than those who try to file a claim without a lawyer. You may end up having more of a case than you think. Do I still have a case if I wasn’t injured in a crosswalk? As you’re probably already aware, jaywalking or the act of crossing a road somewhere other than a marked intersection is illegal in California. If you were injured crossing a street illegally, you can be held at least partially responsible for the accident. Depending on the circumstances surrounding the accident, you may not have a case. However, even if you were crossing the street illegal, the driver that hit you still had a duty to remain vigilant for pedestrians while driving. California follows a pure comparative negligence standard. This means that if the other driver was even partially at fault, you can recover compensation. Your compensation will be reduced by your percent of fault for the accident. So, if you’re found to be 45% responsible for the accident, you will be eligible to receive 55% of your settlement award.